But with over 50,000 direct pins from the site and being ranked #8 in my top 10 posts of ALL time, I decided these muffins had more than earned their right to some pretty updated photographs. For the cream cheese "batter"
Preheat your oven to 375 degrees. 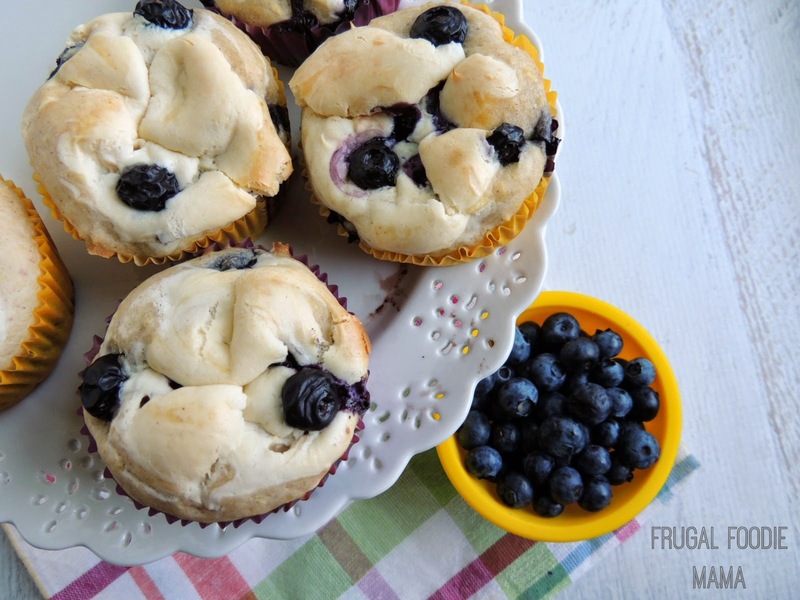 Line a 12 cup muffin pan with muffin liners. 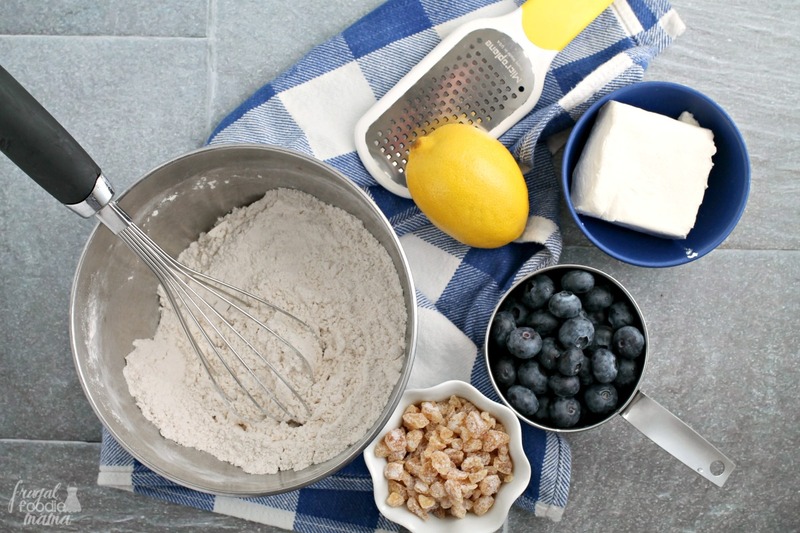 In a medium bowl, whisk together the dry ingredients- flour through the cinnamon. Set aside. Stir the flour mixture into the wet ingredients a little at a time. Mix until incorporated, but try not to over mix. Using an electric mixer, beat the cream cheese and sugar together until nice and creamy. Gently fold half of the cream cheese "batter" into the blueberry muffin batter. Fill each muffin cup in your pan about 2/3 of the way full with your muffin/cream cheese swirled batter. 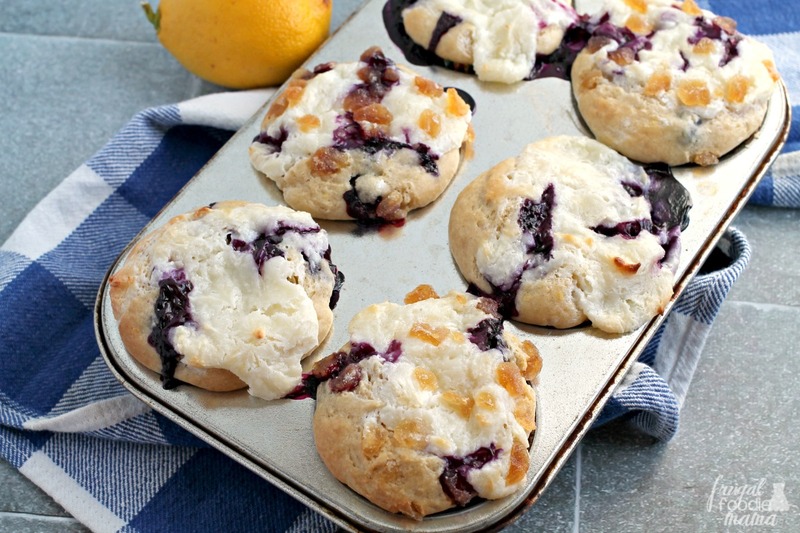 Grab the remaining cream cheese batter and drop one tablespoon of it on top of each muffin. 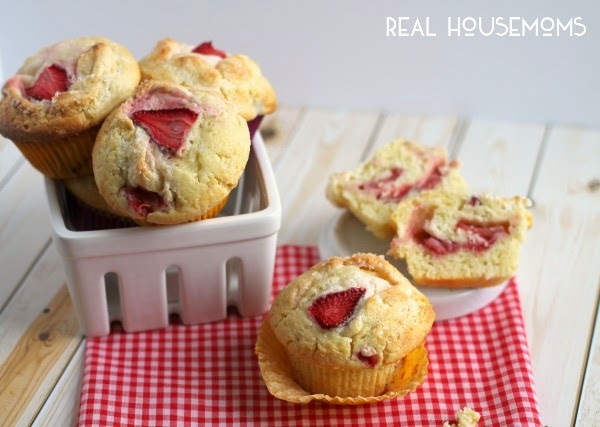 Using the back of a spoon, press the batter into and swirl it around the top of each muffin. Sprinkle the tops of the muffins with the chopped crystallized or candied ginger and gently press them into the tops of the muffins with a spoon. Bake for about 30 minutes at 375 degrees, turning your muffin tin once halfway through baking. The cream cheese tops of the muffins will get golden edges when done, but shouldn't be brown. A toothpick inserted in the middle of the muffins should come out clean when done. Allow the muffins to cool in the pan for about 5 minutes and then transfer them to a wire rack to cool completely. This recipe was adapted from THIS ONE by Bake or Break & THIS ONE by Two Tarts. When I make these muffins, I always leave the crystallized ginger off of about half of them because my husband isn't a huge fan of ginger. Me, on the other hand? I love ginger! Feel free to leave the ginger off some (or all) of the muffins to suit your and your family's taste preferences. 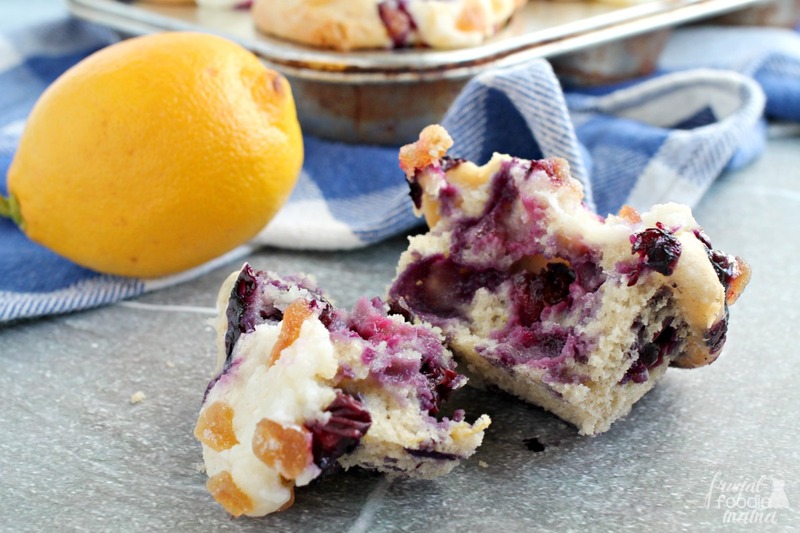 Since these Blueberry Lemon Cream Cheese Muffins have been a long time reader favorite on the blog, I have to ask- have you made them before? Ohhhh I want to eat these. 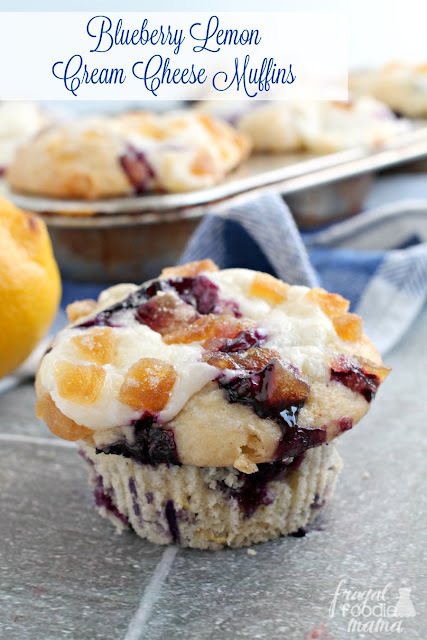 I love blueberry muffins! These look amazing!! 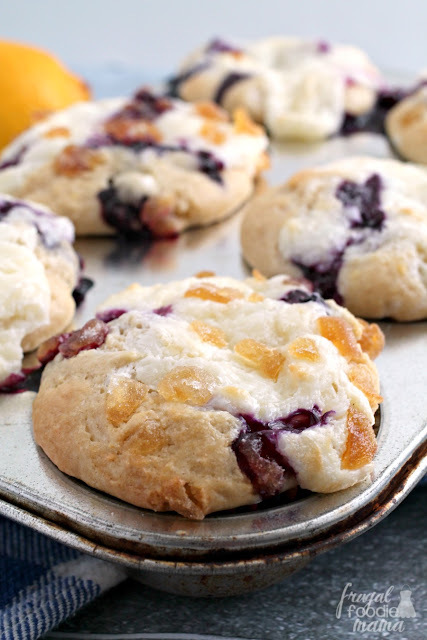 I don't even LIKE blueberries but you've made these look so delicious that I have to make them -- good thing my mister will love them! Oh my goodness this sounds like sweet sin :) I can't wait to try them!!! Wow, these look yummy! I love the addition of the ginger. Found you at This gal Cooks! Beautiful! These look and sound wonderful! I think they should become a staple in my household, too! Pinned! Thanks so much for sharing on Two Cup Tuesday at Pint Sized Baker. Please stop by tonight and link up again! I will be omitting the candied ginger. I have tried it, but just cannot like it. These are beautiful looking. These are keepers. Sounds deeelicious. Pinned and Evernoted. Will try them. Oh my these look good. I have a real weakness for muffins because they seem less fattening due to their size. Thanks for sharing this on Saturday Dishes. I hope you'll return this Saturday when we feature spring desserts. Looks and sounds fab! Pinned to Saturday Dishes - thanks for visiting!